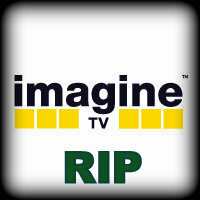 Hindi entertainment channel Imagine TV’s poor ratings has finally led to winding up of its operations. Thanks also to its doomed advertising revenues. The poor ratings were hampering further investments, it is learnt by Greater Voice that has always believed that the channel never performed since its inception. Also, there’s a general perception that the channel was owned by NDTV and many even called it NDTV Imagine. But as a matter of fact, US-based Turner Broadcasting System Inc had bought the majority stake in the channel from New Delhi Television (NDTV) in 2009 itself. Ramayan, Rakhi Ka Swayamvar, Bandini, Jyoti, Raaz Pichle Janam Ka, Rahul Dulhaniya Le Jayega, Devi were some of the programmes that were telecast on Imagine. ‘Imagine’ was Turner’s another attempt in the entertainment industry. Earlier its ‘Real’ had also failed. In India, Turner operates CNN, Cartoon Network, HBO and POGO. Indian media and entertainment industry is estimated to be Rs.728 billion market but barring half a dozen television channels most of them are struggling to even get a foothold amidst a horde of brands.